TGI is one of the best software solutions provider for small and mid market manufacturing companies. 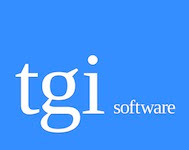 TGI Company delivers the it's unique software and services in the ERP Software industry. TGI and Enterprise 21's manufacturing softwares are so easy to use as they are build user friendly. It is so easy to use the software by anyone. The TGI Enterprise 21's ERP manufacturing software are used by many various industries in various purpose. TGI and Enterprise 21's ERP Manufacturing software is used for mainly for assemble-to-order, make-to-order and also used to configure-to-order. 3) Mixed mode manufacturing environments. Lets us now have a brief look at the Environments supported by he TGI Enterprise 21's manufacturing software individually. The TGI Enterprise 21's ERP manufacturing Software for the Discrete manufacturers support the attributed inventory, quoting and conversion to orders and online product configuration, Project accounting including multiple billing methods, component substitution, lean manufacturing and out sourced assembly. And the last one is for Mixed mode Manufacturing Environments. This software is used fr managing the order management, Inventory management,Procurement, This ERP manufacturing software is featured with RF and bar code, ware house management and advanced forecasting and planning, In this software all the processes int he manufacturing are directly linked to the all the business department and units through out the enterprise with a single database.